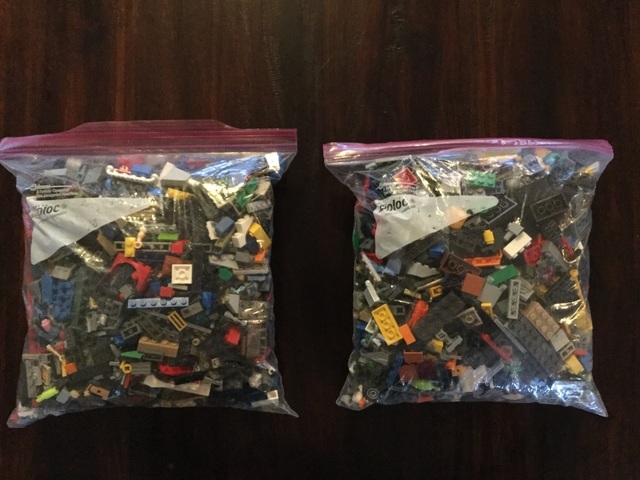 Individual bags of LEGO pieces 27cm X 27cm. We have about 15 full bags at $15 each. We are in Kelowna but will be in Revelsoke this weekend.